Including Vaughan Williams's Fantasia on a Theme by Thomas Tallis, These Things Shall Be by John Ireland, Delius's The Walk to the Paradise Garden and Walton's Belshazzar's Feast. Samira Ahmed presents from the Royal Albert Hall, as Tadaaki Otaka conducts a celebration of British music performed by the BBC National Orchestra and Chorus of Wales, the BBC Symphony Chorus and London Brass. 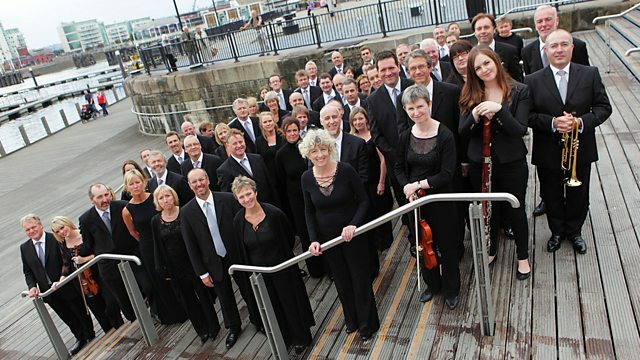 Vaughan Williams's much-loved Fantasia on a Theme by Thomas Tallis is followed by the beautiful but rarely-performed These Things Shall Be by John Ireland with baritone soloist Jonathan Lemalu. Delius's The Walk to the Paradise Garden marks the 150th anniversary of the composer's birth before all the forces combine for Walton's iconic Belshazzar's Feast.